Making the decision to emigrate could be one of the biggest things you have had to face in your life; leaving your home country and embracing a new way of living is not a small step. Therefore, once you have made up your mind and are ready to start the process it's essential that you get your visa application right. If your visa gets rejected, you can of course appeal, but the chances of getting the decision changed unless you have new information is unlikely. For this reason you might want to consider whether using Canada immigration services is the right approach for you. You don't need to use Canada immigration services to apply for your visa; all the information you need is available for free online. However, filling in the paperwork can be trickier than it looks and if you don't get the details right you could find your application simply rejected. One of the most common reasons for visa applications to be rejected world-wide is the failure to either complete all the relevant questions or to make errors when providing the answers. If you make the application using Canada immigration services you will drastically slash your chances of this happening. If you potentially qualify for entry under more than one category you need to make a decision about which route to follow. This is harder than you might think as some types of application are more likely to be approved than others. For example, some types of visa have a cap on how many can be issued each year whilst others are unlimited. If you appoint Canada immigration services to help you with your visa application, they can provide valuable information about which routes offer the greatest likelihood of success. Finally, even if you do meet all the criteria technically, it isn't always enough to convince immigration officials. Providing the bare minimum won't necessarily be enough for your visa application to be approved, especially if there is a high demand or your case is borderline. By using Canada immigration services by a good consultant, you can be certain that the application you send will have a high level of detail, plus will be tailored more specifically towards what the officials are looking for. Best Canada immigration consultants will have experience in getting visas agreed and will know the level of detail which is required in order to support your application. 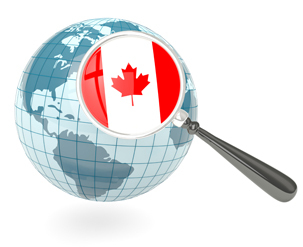 So hire a good consultant providing Canada immigration services. We provide the best immigration services geographically located at below locations.